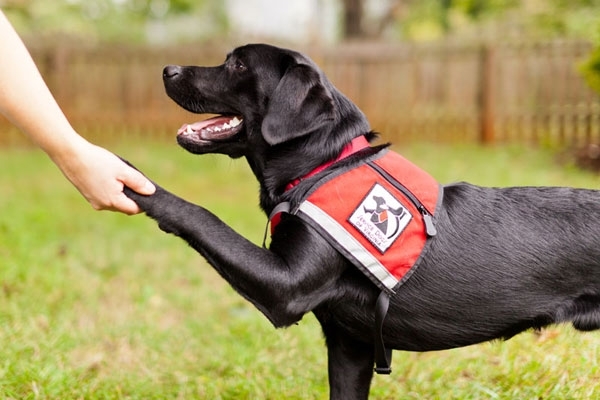 “Under the Americans With Disabilities Act, service animals can go wherever their owners go, from the library to public transit to the corner cafe. Not so with an emotional support animal, except when it comes to flying, which is guided by a different law. Presumably, the Department of Veterans Affairs (“the VA”) agrees with the Minnesota Commissioner of Human Rights since the VA provides service dogs for Veterans with physical disabilities, but has yet to determine whether to broaden this policy to support Veterans who require “emotional support” during times of crises. While one can certainly appreciate the fact that a service dog may represent a unhygienic threat to someone in a public place, it seems ludicrous to create hard rules to protect against the abhorrent behavior of a small minority. Will it be necessary to card “service dogs” or their owners at public establishments to insure that the dogs papers are in order? With suicide rates among Veterans still high and an opioid epidemic that is ravishing America, it is hard to believe that the public can be distracted by this silly assault on individual rights. While individual freedoms must certainly be respected against the “demands” of the public good, logic and statistical anomalies often distort the truth. For instance, the Washington Post alarmingly reports that 963 people were “shot by police” in 2016. Is this a national calamity or a reasonable defense that our police exercised reasonable prudence before taking another person’s life? Make up your own mind by consulting the GitHub database. According to the CDC database, people dying from gun violence last year exceeded 33,000. One would hope that the public is focused on the causes for the other 97% with the same degree of attention that they monitor police gun violence.